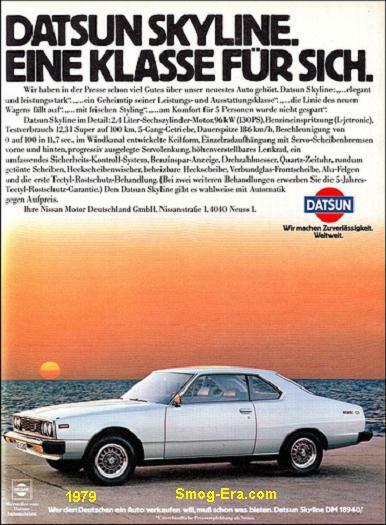 This is another Datsun/Nissan model never officially sold in the U.S., but can be legally imported since it’s been longer than the 25 year threshold. The number of engines and trim levels alone can be confusing… Generally though, anything with a six cylinder had a ‘GT’ in the title somewhere. The first of which we cover here, the 1973 version was part of the C110 generation. 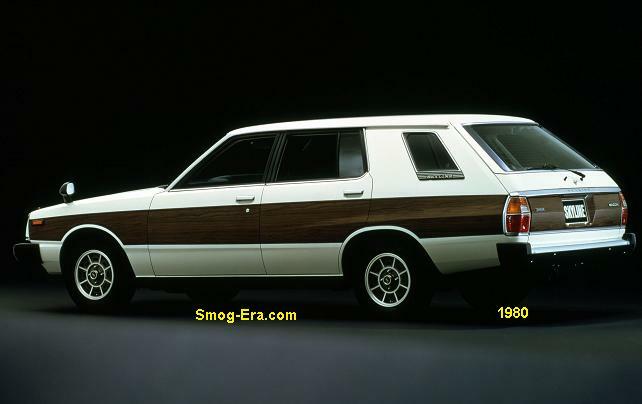 It had three body styles which were 2-door coupe, 4-door sedan and 5-door station wagon. The wheelbase was 2610mm (102.8″), and the overall length was 4460mm (175.6″). As for the appearance, does it not look a bit like a 1973 Dodge Coronet from the front? Engines for 1973 started off with a 1.6L SOHC G16 2bbl I4 making 99hp, a 1.8L SOHC 2bbl G18 I4 making 105hp, and a 2.0L SOHC 2bbl L20 I6 making 129hp. 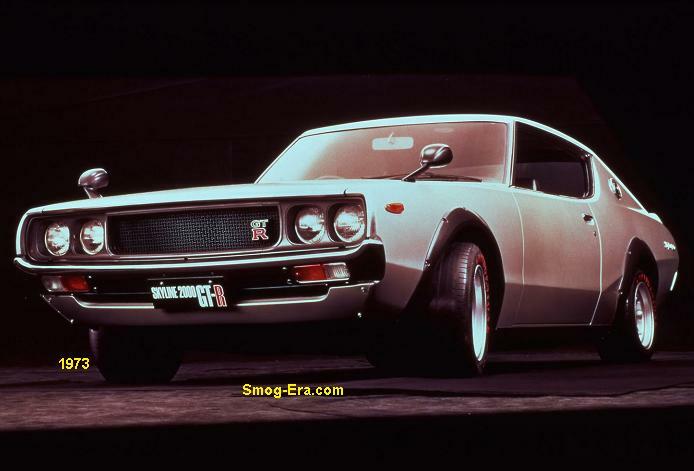 The top dog engine this year was found only in the Skyline GT-R. It was the 2.0L DOHC MFI S20 I6, which made 160hp. In some markets, a 2.4L SOHC 2x1bbl L24 I6 was offered that made 148hp. Other trim levels included base, GT, and GTX. The latter two were only available with the L20 or L24 engine. The 1974 cars offered the G16, the G18, the L20, and the L24 engines. 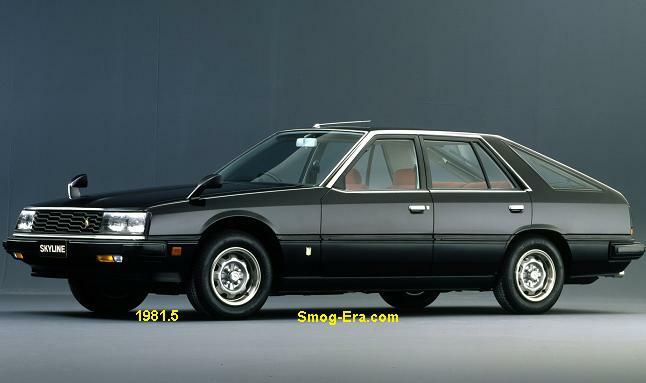 The GT-R and ts S20 powerplant were not brought over to this model year. Incidentally, the G16 and G18 engines are known for having a better-flowing cylinder head compared to later Nissan fours. Because of this, they were also not emissions-friendly. It was the last year for these engines. Several new engines arrived for 1975. Two were introduced to replace the G16/G18. These were the 1.6L SOHC 2bbl L16 I4 that made 99hp and the 1.8L SOHC 2bbl L18 I4 that made 105hp. Yes, power was similar to the old engines but the new emissions-friendlier cylinder heads offered less potential for performance enhancement. A third new engine came out this year as well which was a 2.0L SOHC 2bbl L20B I4. It made just 97hp, but presumably more torque than the lower end offerings. A fourth choice was a 2.0L SOHC 2bbl L20A I6 that made 102hp. All engines and car specs were largely carried over for 1976. In 1977, the 2.0L SOHC EFI L20BE I4 arrived as another four cylinder choice. It made 102hp. 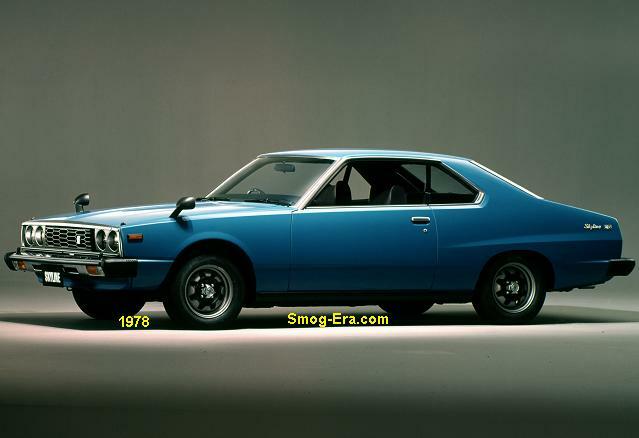 In model year 1978, the Skyline received a major refreshing, smoothing the body lines in the process, especially the c-pillar area on the coupe. This one was known as the C210 generation. Wheelbase was now 102.95 inches and the length was 181.1 inches. The GTX trim was dropped and in its place were four sub-trims of the GT. These were GT-L, GT-EL, GT-EX, and GT-ES. More new engines came on board which were the 1.6L SOHC 2x1bbl L16T I4 making 109hp, and the 1.8L SOHC 2x1bbl L18T I4 making 110hp. These replaced the previous L16/L18. Also new was a 2.4L SOHC EFI L24E I6. This one replaced the previous L24 and it made 138hp. In 1979, the nose was touched up with a minor change. 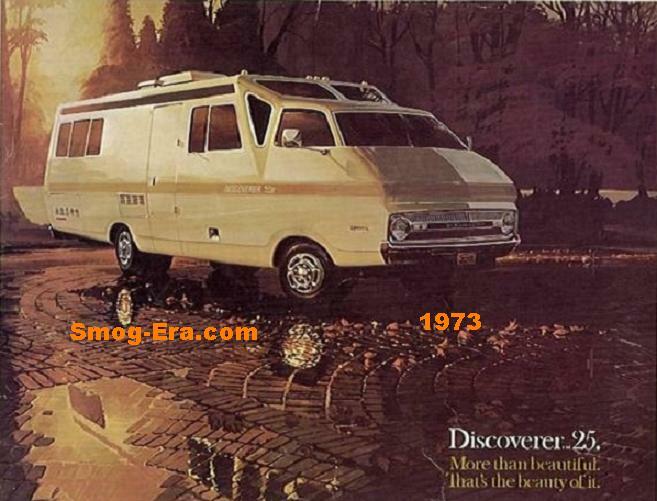 For 1980, the nose once again got an update, this time to composite headlamps. 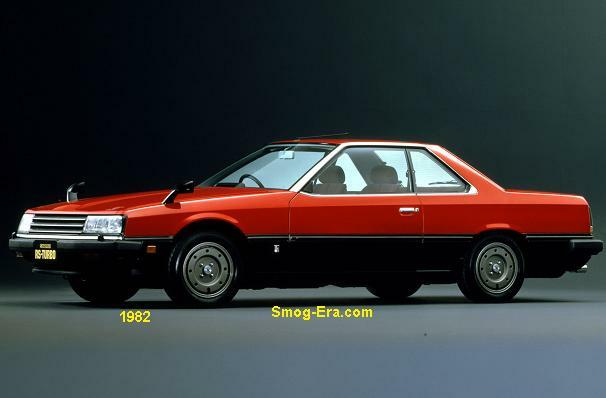 Basic trim levels were now base, GT, GT-E, GT-ES. Also starting this year, as a last hurrah before the car was redesigned, a 2.0L SOHC EFI Turbo L20ET I6 was available. It made 144hp. 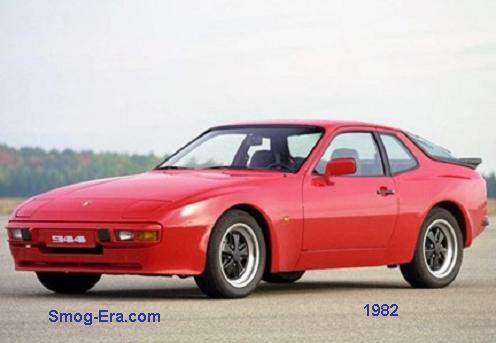 This engine spawned additional trim levels that were known as GT-Turbo, GT-E Turbo, and GT-ES Turbo. these ended with the engine after 1981. A brand new Skyline arrived for 1981-1/2. This time the car had a wedge shape, including a more ‘fit & trim’ appearance. 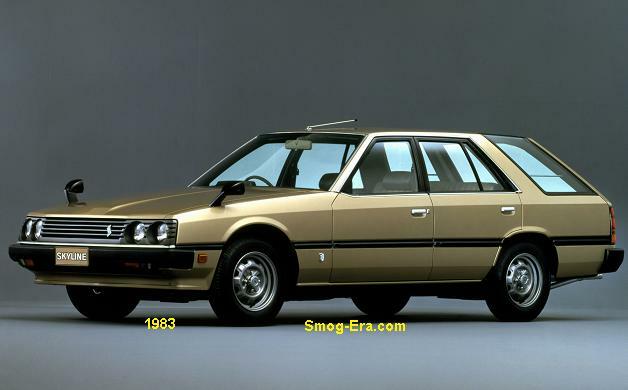 This was called the R30 generation. Wheelbase was still 102.95 inches. Length was shrunk down a tad to 180.9 inches. A hatchback was added, making the number of body styles four total. New were GT-ESA and GT-EX trims. For 1982, a trim called RS arrived and it received a 2.0L DOHC EFI FJ20E I4. This one was rated at 148hp. Some cars received a new 4-headlamp system in 1983. Also notable was the new RS-Turbo trim. Besides upgraded brakes, this car got a 2.0L DOHC EFI FJ20ET I4 underhood, rated at 187hp. A Paul Newman Edition was available for 1983 only which basically added gimmicky graphics and autographs, though the car now has collector possibilities. 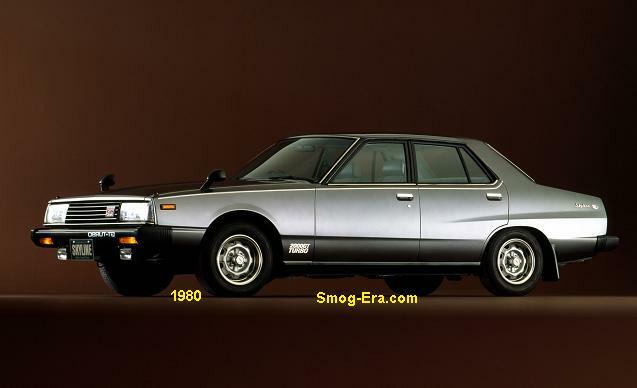 A few Skylines are known to be in the U.S.— find one, import one, restore it… Parts availability is not a problem, though sometimes need to be sourced through Nissan Japan. These are sure to go up in value, especially the ’73 GT-R and ’83 RS-Turbo.